The Sir David Watson Awards recognises the combined efforts of community and university partners towards making a difference to the lives of people in their shared community. These awards have been created in memory of Professor Sir David Watson, honouring his leadership in encouraging community-university engagement. 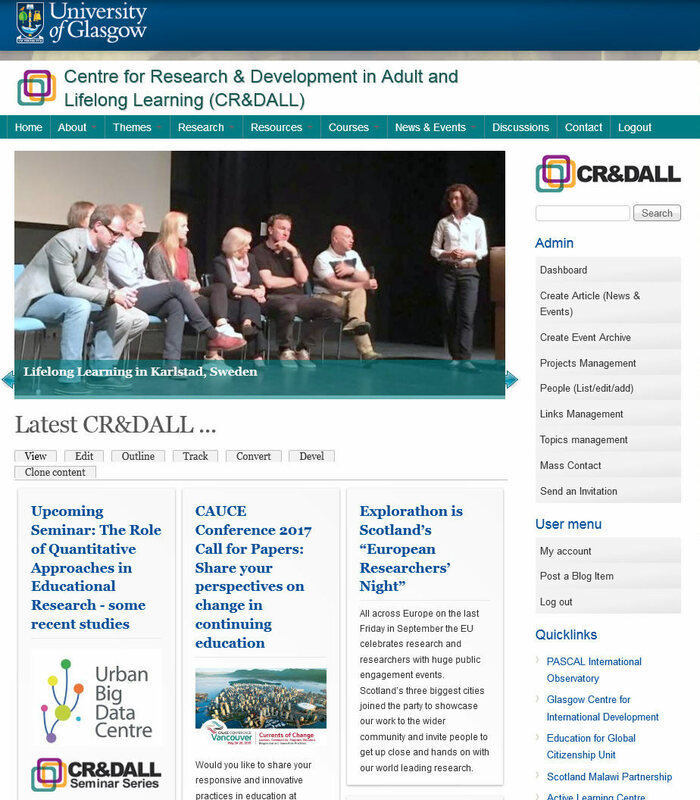 For this thematic issue we welcome conceptual, theoretical, policy, historical or review articles and articles based on empirical studies which may include the perspectives of adult students and/or adult educators. Deadline for submission is 17th May 2019. We would like to invite you to an ENLIVEN project dissemination event, Post-School Education and Training for Young People on the Social Margins: Evidence from Scotland Moray House School of Education at the University of Edinburgh, Thursday 28th February 2019, where we will present findings from our research on post-school provision for young people from socially disadvantaged backgrounds. We are in the final week for submissions for the UALL 2019 conference - Lifelong Learning and Innovation, Telford Innovation Campus, University of Wolverhampton, 10-12 April, 2019.